Here we are, a new month and a new Blog Hop. 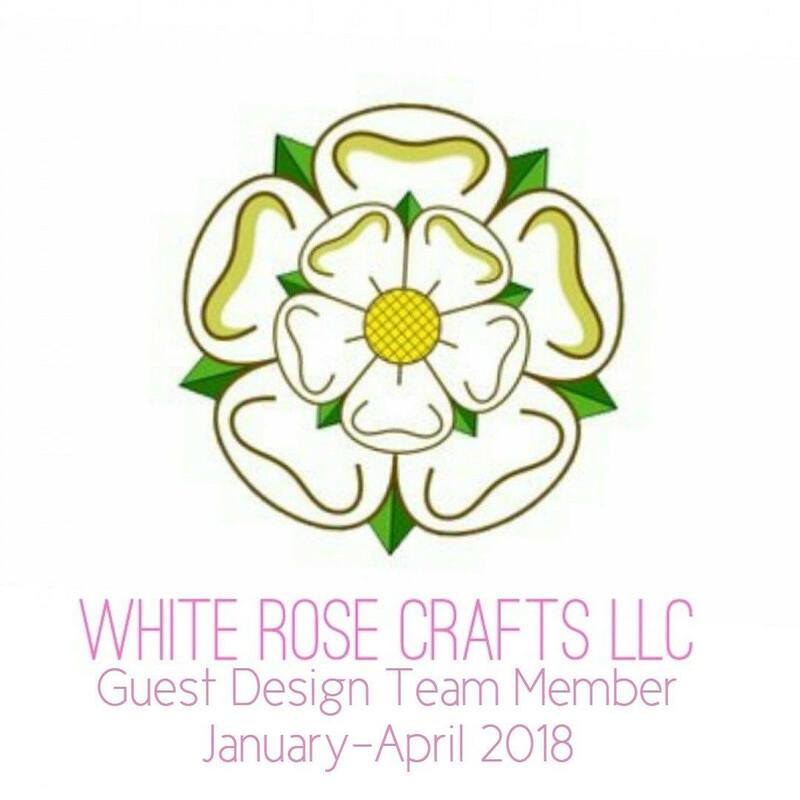 Here at Joy Clair we have some fun designs this month, and I have to say for myself not being one for background stamps much, this one is beautiful. 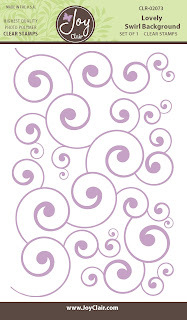 I love the Lovely Swirl Background Stamp. So I have used it for a project, made a nice birthday card for a very good friend of mine. I had so much fun with this one. 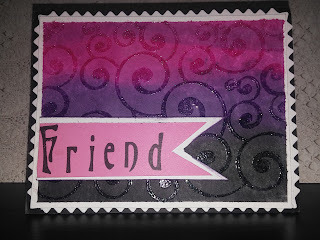 First I stamped up my background stamp using Versamark, and heat embossed with black glitter embossing powder. I then used distress inks to color the background. I used the Wonderland Letters stamp set to make the word Friend, and then did the fan tail cut. Quick and easy and done. The background paper was already cut on the edges. I do have more ideas for this background stamp and will share them later this month with you when I take over the Joy Clair blog. 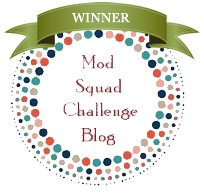 If you started with my blog, please go to the Joy Clair blog and start at the beginning, if you already hopped along, then Monica's blog will be your next stop. Are you excited and want to buy all four sets of June's Release? Buy it today! love this background stamp so much, and I really love how you had the colors fade when using it. beautiful card! Beautiful card! 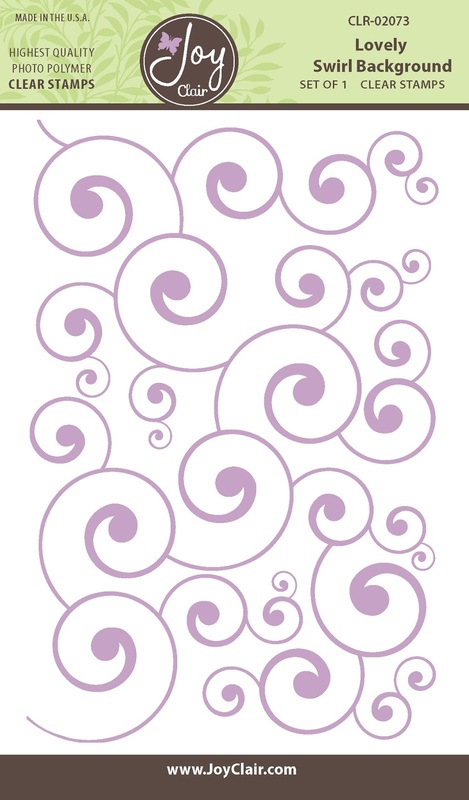 You showcased the lovely swirl background perfectly! I like the dark and pretty background! A wonderful card!! Awesome job!